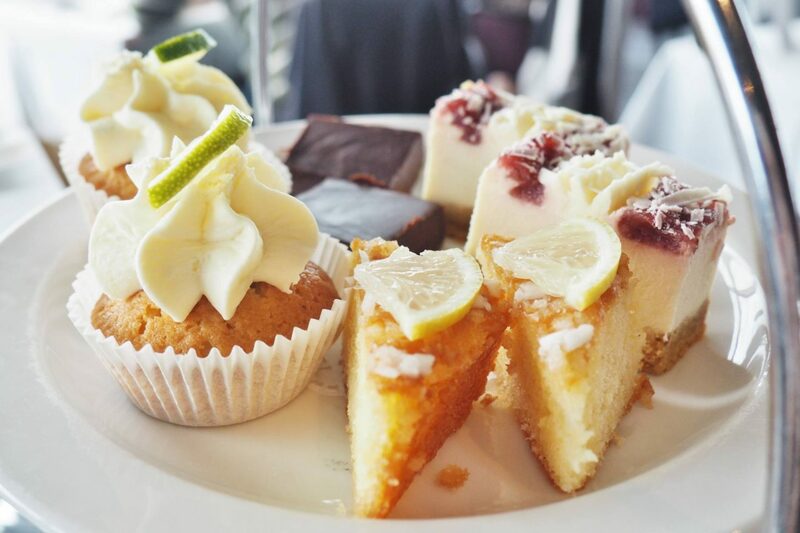 In a recent collaboration with Beefeater Pink Gin, Birmingham’s Marco Pierre White Steakhouse Bar and Grill has unveiled a brand-new gin afternoon tea, complete with a gin-inspired selection of cakes and scones. Considering I’ve been to MPW’s a few times before for food, I’m sad to admit I’ve never been impressed with their food offerings, but their previous Afternoon Tea selection tipped the scales back in their favour. Naturally, I was intrigued to see how they had upped their game with this new take on gin inspired food. From a first glance, the menu looks appetising. Being a huge gin drinker myself also, I was delighted when a large glass of pink gin and tonic was bought to the table for myself and my guest. The drink consists of 50ml of Beefeater Pink, 150ml of tonic water and strawberries therefore a fruity taste is delivered. The Beefeater Pink gin was launched in March of this year, expertly distilled and crafted in London. It’s very delicious! As standard, the afternoon tea came on three tiers, complete with fresh sandwiches including prawns in Marie Rose sauce, coronation chicken, egg mayo and ham with tomato. The sandwiches were bouncy and full of flavour, but we weren’t blown away by them. 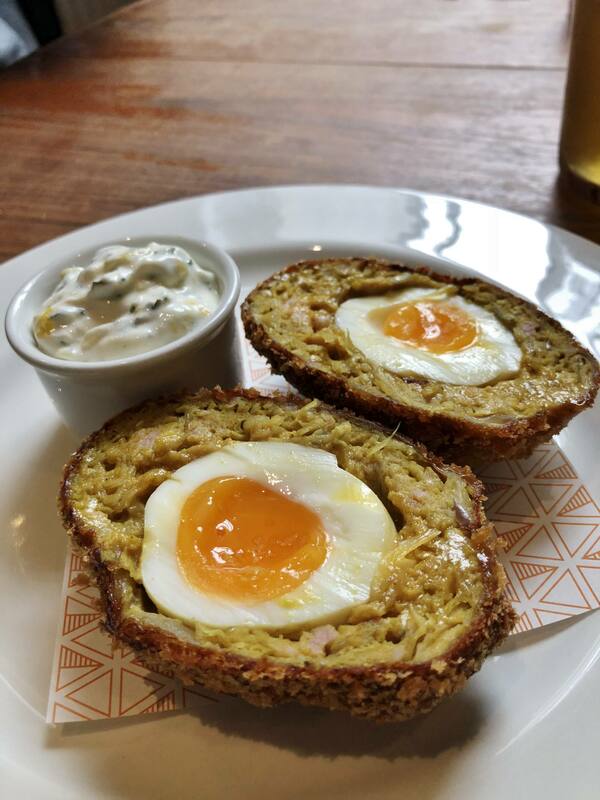 It was standard sandwich fillings and I expected more of a punch – perhaps including something a bit more spicy and aromatic to complement the smoothness of the gin. I feel that a salmon portion would have worked well here too. The best sandwich was by far the prawns, juicy and fresh. I would prefer a few more of these over the ham and tomato, but that’s just my preference. The cake accompaniments were sweet but wish I could taste the gin a more. The drink was powerful enough that it was quite difficult to taste more of the gin inside the cakes. The portion sizes were decent with the freshly baked gin and lime cupcake being my least favourite – purely because it was a standard cupcake with not much of a theatrical twist. The Pink Gin raspberry cheesecake was creamy and filling, with my ultimately favourite being the modern twist of lemon and gin drizzle cake. The dark chocolate and cranberry ganache was rich in flavour and was a perfect bite to finish off the sweet section. I do feel the sweets are missing a trick here again, perhaps some more colour and life needs to be included as the cakes look quite samey, orange and bland. By the time we had finished the sweet section, the orange and juniper scones were still warm (a must for me) and were paired with gin jam. The scones were tasty and you can tell they had been freshly prepared, although the exterior was a little hard. Like a broken record, I wish that I could have tasted more of the ‘gin’ element which is the overall purpose for the tea. I’m thinking if they concentrated more on making the sweet treats packed more with the gin element, this might be a success. Once the scones were cut into, I piled on the cream and gin jam and savoured in every bite. We finished off with a pot of tea each with full bellies whilst overlooking the Birmingham city skyline. Although the food was pleasant, it’s easy to say I wasn’t blown away by the standard of tea compared to others in the city. For a whopping £24.95 per person, I expected that little bit more in terms of flavour and presentation. Available Monday to Sunday 12pm – 5pm, the new gin & tea menu comes as traditional, vegetarian and gluten-free options too. Thanks to the team for inviting me to trial the tea, and I’m interested in seeing see what your Christmas offerings will be like. Find out more on the gin tea here. 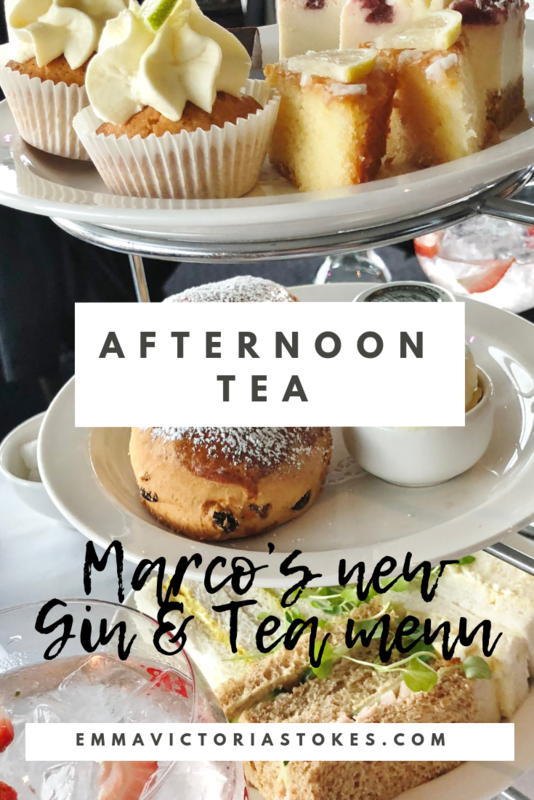 Please note, I was invited to Marco Pierre White’s to sample the Gin Afternoon Tea menu. All opinions are my own.